AIVA has assembled a profoundly talented team to bring Fonthill Yards to fruition. Each an expert in their fields, the team behind this trendsetting project draws strength from their universal commitment to excellence. 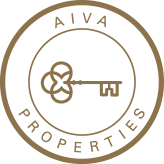 With AIVA Properties, it’s all about vision. Taking an ordinary piece of land in an extraordinary location and transforming it into a prestigious and coveted community has inspired them to create Niagara’s most exciting new residential community in prosperous Fonthill. What sets AIVA apart is their 21st century approach to business. AIVA is about combining the very latest in efficient and practical construction technologies with humanistic sensitivities that speak to a new generation of purchasers. Fonthill Yards will be the Niagara Region’s very first contemporary built community, featuring 23 upscale towns and a six storey, 82-unit midrise condo building. ePrime is a project and construction management firm serving the Niagara and Hamilton Region and staffed with extensive talent from the construction and development industry. With an average of over 25 years in building experience, ePrime maintains control, oversight and effective delivery of projects on behalf of their clients. ePrime assists Aiva Properties with coordination and management of all the necessary design specifications, quality control, testing and commissioning, service and warranty considerations. Hallex is a full service engineering and environmental firm that was established in 2005 to serve the Southern Ontario market.They provide a complete range of services to the industrial, commercial and institutional marketplace for both small and large projects that include engineering, environmental science, cost consulting, commissioning and project management services. With over 35 experienced Engineers, Technologists and Designers, Hallex provides comprehensive and innovative solutions from straightforward utilitarian designs to sustainable designs meeting LEED® criteria. ACK is a mid-size architectural practice with offices in Toronto and St. Catharines. They serve a wide range of clients and an equally diverse range of project types in a highly collaborative environment. The firm was formed in 2012 with the amalgamation of Michael D. Allen Architects Inc. (in architectural practice in the greater Niagara Region and throughout Ontario for over 20 years), David Chui and Ken G. Kruck. This new incorporation continues and enhances the innovative approach and services offered by the original practice. They currently have ongoing projects in a highly sustainable residential complex in Saskatoon, high-rise residential condominium perched on Brockville’s waterfront bedrock, state of the art winery and culinary centre in Niagara-on-the-Lake as well as infinity pool vacation villas in St. Lucia. Revel Realty Inc. is a modern, full service, avant-garde real estate brokerage in Niagara Falls with satellite locations in Fonthill and St. Catharines. Led by founder and number one selling Broker for the second consecutive year, Ryan Serravalle, alongside Top Producing Team Leader Emily Barry, The Revel Team has striven to separate its 'revel'utionary marketing vision by providing detail driven, creative and customized media campaigns to sell out subdivision settlements, condominium communities, commercial/industrial developments, and of course, luxury lifestyle. Always motivated to outdo its own standards, Revel is a young, ambitious and innovative force galvanizing real estate interest in the Niagara Region. BEB, id & LL Designs collaborative, located in the beautiful Niagara Region, is a studio that believes in a succinct and united approach. We strive to build a balanced process with clients to provide a unique and intimate experience with talents and abilities that stretch beyond the expected design methodology. As Designers, we are guided by a passion for greatness, inspired by excellence and committed to exceptional service. These values are at the core of our renowned design firm established in 2006, allowing us to develop long-standing and synergistic relationships. With more than 25 years of industry experience, our team approach has propelled this dynamic boutique style design firm onto the national stage, and of course, here at home with Fonthill Yards.